Programmable Logic Controllers (PLCs) have been around since the late 60´s. They are basically digital computers adapted to industrial automation needs and are largely used in the most diverse manufacturing plants. Our partner Codesys has a software PLC solution which can be deployed on our ARM based System on Module families (Colibri and Apalis) in order to transform the module into a PLC solution. It is the perfect fit for use cases where the device end-user must have the capacity to program the device behavior. See the list of Devices using Codesys (you see some famous PLC brands like Beckhoff, Wago and Eaton). Codesys System provides several advantages for devices implementing PLC-like solutions. For licensing information please check here. If you want to License Codesys on Toradex hardware you can get in touch with our partners Codesys or Nexo. Codesys can run on Linux or Windows Embedded Compact, please see below for more information. Codesys can run in a variety of operating systems and hardware platforms including Linux and ARM based devices. In order to run Codesys Control on Linux, you have to provide support for the OSADL real-time extension. The information on how to do this you find here. Since this is a demo image, access to the Linux terminal is not allowed to customers. Back to the host PC, download and install Codesys Development Tool. Our tests were conducted using Codesys v3.5 SP9 Patch3. 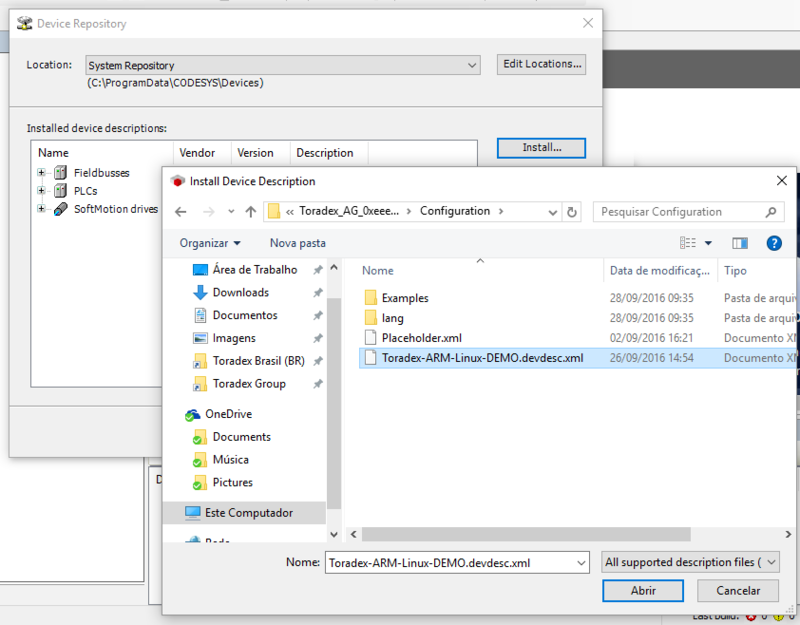 Install the Toradex-Device on the Codesys Development tool. On the Codesys Development open Tool > Device Repository. Download the device description hardware here. Change the file extension from .txt to .xml. 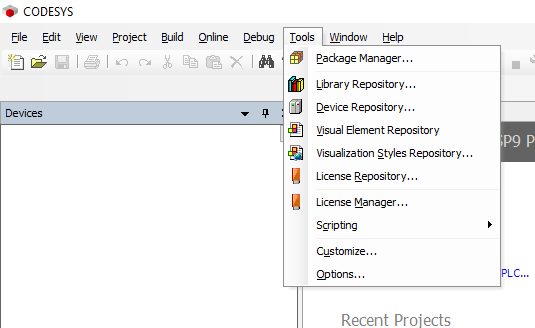 On the Device Repository window click on the Install button and select the file downloaded on the previous step. After the process is finished you are ready to start a new project. Download missing libraries in Library Manager menu entry.